Fusible Ceramico Neoced D02 14x35mm 20 Amp. 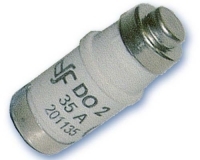 Fusible Ceramico Neoced D02 14x35mm 35 Amp. Fusible Ceramico Neoced D02 14x35mm 50 Amp. Fusible Ceramico Neoced D02 14x35mm 63 Amp. Fusible Ceramico Neoced D02 14x35mm 80 Amp.